On the occasion of the 160th anniversary of the birth of Maestro a great exhibition will be held in order to discover the relationship between Giacomo Puccini and the artists of his time and the influence of the composer and his aesthetic on the visual arts in Italy between the end of the19th century and the first decades of the 20th century. A research aimed at giving back to the public new elements, suggestive hints of study and many unpublished works. 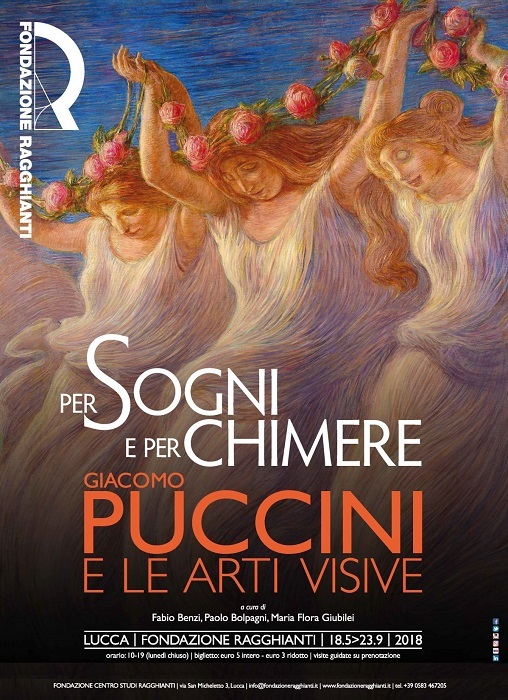 The exhibition is carried out by the Foundation Ragghianti with the sponsorship of the Foundation Cassa di Risparmio di Lucca and in collaboration with the Foundation Giacomo Puccini. The scenery is produced by the famous stage designer Margherita Palli. «In hopes and dreams» presents to the audience about 120 new items kept in private collections, outlining an exciting panorama of artists that were close to the themes and emotional atmosphere of Puccini. Boldini, Previati, Chini, Nomellini, Cremona, Michetti, Conconi, Troubetzkoy, Selvatico, Cappiello, De Servi, Discovolo, Pagni, Fanelli, Rietti, De Albertis, Baletrieri, Andreotti, Hohenstein, Metlicovitz, Nunes Vais – these are just some of the artists whose works can be admired in the exhibition, dedicated to the memory of Simonetta Puccini. Paintings and sculptures inspired by Puccini, characters of his operas, portraits of the Maestro, collection of works of the artists that he liked, vintage photographs, items, documents, posters, relics – all these objects help visitors to enter the world of the Great composer, and reveal his passion for drawing and caricature, as well as his attention put into the decor of his own homes. 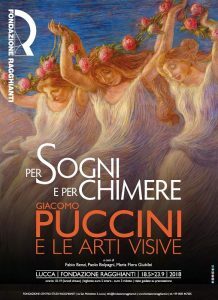 The exhibition plunges its visitors into a dreamy world of transition between late naturalism, Scapigliatura, Symbolism, and Modernism, which Puccini contributed to in a decisive way thanks to his works. The exhibition, curated by Fabio Benzi, Paolo Bolpagni, Maria Flora Jubilees and Umberto Sereni will be accompanied by a catalog «Edizioni Fondazione Ragghianti Studi sull’arte», with texts by Fabio Benzi, Paolo Bolpagni, Maria Flora Jubilees, Alessandra Belluomini Pucci, Gabriella Biagi Ravenni , Silvestra Bietoletti, Giovanna Ginex, Massimo Marsili, Eleonora Barbara Nomellini, Umberto Sereni and Marco Mei.